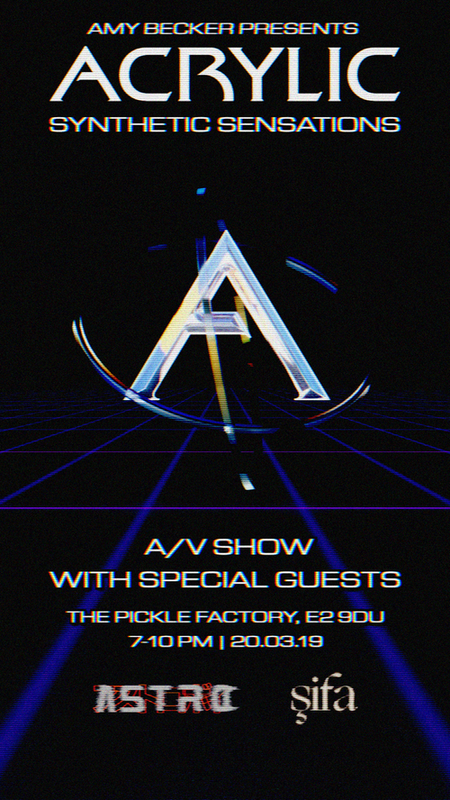 Amy Becker debuts her brand new A/V show 'Synthetic Sensations' at Pickle Factory on 20th March. Developed around her Acrylic imprint alongside a small team of visual artists including SIFA and ASTRO, the show will combine the concept of manipulating plastic materials, 3D animation and footage shot during a recent trip to Tokyo. N/B: The show may potentially trigger seizures for people with photosensitive epilepsy. Viewer discretion is advised.